Born in Los Angeles, California on November 17, 1936. Passed into heaven from Ramona, California on May 29, 2018. Colleen led a charmed life raised in Whittier, California. She attended Whittier High School and graduated in 1954. It was at high school where she met her first love, Bob Eyler. They were married in 1956 and settled in Huntington Beach, California to raise their three children, Christy, Jill, and Bob. After her oldest daughter had married into the Barnum family, Colleen found the second love of her life, Bill Barnum. Bill had been a widower for awhile before they started dating. They fell in love and were married on December 31, 1984. They retired and moved to Ramona, California where they spent their days playing golf, bridge, hosting great dinner parties, and traveling the world. Unfortunately Bill passed in 2003 from Alzheimer’s. She continued playing golf and kept active with friends and family and her beloved dogs. 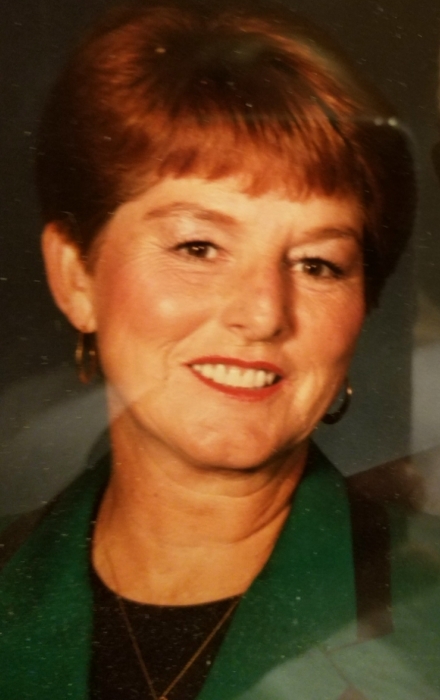 Her son Bob has been by her side for the past two years as her best friend and caretaker.She loved her family more than anything and was a great mother, grandmother, great-grandmother, sister, aunt, and friend. She is preceded in death by her parents, brother, and husband. She is survived by her three children, three step-children, ten grandchildren, and loads of friends. There will be a Celebration of Life in Colleen's honor at 3pm on Friday, June 15th at Bonham Bros & Stewart Mortuary Chapel, 321 12th St., Ramona. Following the service the family will host a reception at the San Vicente Country Club.